Situated within a cosmopolitan area of Cardiff this fantastic Grade II listed building provides both great serviced office space and also hosts a range of events including weddings, fayres and live music. Located on the outskirts of Cardiff's Mermaid Bay, this business space is just a minutes' walk from the Bay, and a two minute journey by car to the centre of Cardiff. Cardiff City Centre has a variety of places to eat, drink and relax, as well as great shopping and excellent hotel options to suit different budgets. 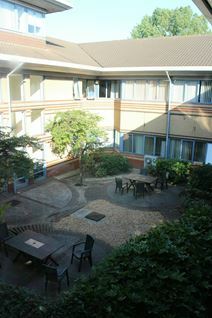 The centre offers access 24-hours a day, as well as kitchen facilities and a security system. 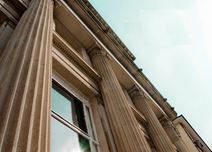 A purpose built office block with a range of office suites in this grade II listed building dating back to 1896, formerly a synagogue with a prestigious façade. Professional onsite management team with reception support and onsite car parking available. Situated in the heart of Cardiff’s business district with excellent transport links, only minutes’ away from train, motorway and airport networks. A variety of retail and restaurant facilities are also located within walking distance. 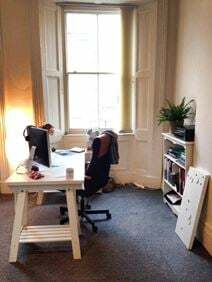 Extensively refurbished prestigious serviced and fully furnished office spaces available on flexible terms, set within this beautiful period property overlooking Sophia Gardens. Benefits included state of the art communication systems, access to board rooms and full reception support. Situated in the Victorian Conservation area of Cathedral Road, within walking distance to Cardiff city centre and local bus and train stations. Renovated to the highest standards, this Grade II listed building overlooks the beautiful Sophia Gardens and incorporates the latest technologies and offers a wide range of fully furnished office suites with support services and a state-of-the-art IT and communication infrastructure. Excellent links to road, rail and airport networks. The city centre and the Millennium Stadium and within close proximity as well as a number of amenities and attractions. Situated in Cardiff’s prestigious Victorian conservation area this four-storey purpose-built office building provides a range of serviced office space suitable for two to 40 people. Equipped with brand new office furniture and a high quality fit out throughout you will be located a 10-minute walk from the city centre, where there are a plethora of places to eat, drink and shop, as well as Cardiff Central Railway Station. Boasting an enviable central Cardiff location, this centre has been recently refurbished and benefits from lots of natural light and a wealth of amenities. The centre boasts state of the art technology, a staffed reception service, 24 hour access, shower facilities and monthly costs are inclusive of utilities and rates. The centre is just a stone's throw from Sophia Gardens and Cardiff Castle, and is just a mile from Cardiff Central train station. 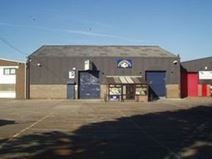 Office space situated within a workshop with parking space available. Close to bus routes and Waungron railway station with Cardiff city centre and Central railway station just 2½ miles away. Offering flexible modern business spaces in an historic period property, these offices are suitable for a range of business types and sizes. These offices are very light, and are complemented by a full range of support services. This business address is ideally placed, close to Cardiff centre, along with numerous transport links. Modern office block with striking exterior features and beautiful bay views, located in the popular Cardiff Bay area of Cardiff. Corporate furnishings throughout with superb conference facilities. Services available include onsite car parking, video conferencing, meeting room facilities, fully manned reception and fast internet and network access. Ideally situated for the M4 motorway and close to the train station. Office spaces available in the modern centre with facilities including high tech boardroom, meeting rooms, full air conditioning, CAT5e cabling state of the art telecommunications and broadband access, uninterrupted power supply, parking available on-site and swipe card security. Situated 2 miles east of Cardiff City Centre, Cardiff International Airport is less than a 30 minute drive from the Centre. Direct routes to the city, M4 and A48 by road and public transport. This centre has excellent on-site amenities including 24-hour access, a management team, administrative support, conference facilities, bike racks, meeting room availability, IT support and telephone answering. In a prime Cardiff location, amenities and attractions are impressive, including many cafes, bars and restaurants as well as extensive shopping outlets. Transport links are strong with railway stations and bus stops around the area. This contemporary office space has just undergone major refurbishment, providing an aesthetically pleasing space with raised floors and suspended ceilings. With a range of space available, you can choose from large open plan offices or if you're just starting up, take one of the smaller packages. There is an onsite reception team to provide you with assistance throughout your working day and building is accessible 24 hours a day for those with flexible working hours. Within easy reach from the M4 motorway and just a few minutes' walk from Queen Street rail station where you'll find plenty of local bus and train routes, you'll find yourself with an easy daily commute. Nearby to the space you'll be able to take advantage of the abundance of restaurants, gyms, shops and cafes, which are perfect for your after work activities or if you're looking to entertain some clients. 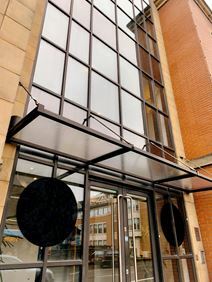 This serviced office centre is based in the centre of Cardiff, close to everything that this bustling city has to offer. A range of business support services is available to meet the needs of your business. Nearby, there is a cinema, a hair salon, as well as the Capitol Shopping centre with a wealth of places to eat, drink and shop. The centre offers great views of the city, as well as great amenities which include professional meeting rooms. Located in the heart of the city centre, this property is a short walk from Cardiff Central and Queen Street Railway Stations. 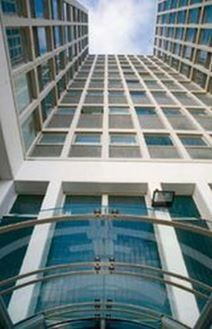 This is Cardiffs tallest office building, with impressive views from this refurbished open-plan office accommodation. Located in the heart of the city centre, this business address is within walking distance of both Cardiff Central and Queen Street Railway Stations. This is the tallest office building in Cardiff, and offers great views. Superb quality, modern fully furnished offices to let, situated on the Northeast edge of Cardiff, within a natural parkland setting. Supported by the latest IT and telecommunications. M4 motorway on hand with the adjoining A4232 providing easy access into the City Centre, where there are many amenities and attractions. The space can be accessed 24-hours a day, and has meeting rooms and conference facilities available. Brand new flexible office suites with biometric finger print locks, CAT 2 low glare lighting and CAT 5 cabling. Used furniture and office equipment can be provided at no cost secure self storage also available. 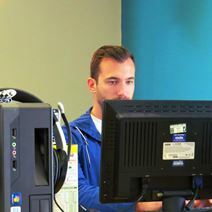 Facilities include high tech conference room, and luxury kitchen with TV, free internet customer lounge and waiting area. Located on Newport Road only 5 minutes from Cardiff city centre which boasts excellent road and transport links. M4 junction 30 is only a 5 minute drive away. Based within Sophia Gardens, home to Glamorgan County Cricket Club, this unique coworking space benefits from fantastic transport links and easy access. Cardiff's city centre is just a short walk from the venue. The centre offers dedicated meeting rooms, complimentary WiFi, breakout space and printing/copying facilities. The on-site staff are happy to assist and get you involved in the busy events calendar (networking functions, seminars, charity dinners etc). Surrounded by restaurants, cafes and shops, this magnificent Grade II listed building is located by Cardiff Market and provides flexible workspace for SMEs looking for a relaxed and friendly work atmosphere. Just a five-minute walk from Cardiff Central Station, the space is very well connected by rail, with easy access to services to London Waterloo, Birmingham and across Wales. Cardiff has fantastic shops, cafes, bars and restaurants. This building is located in a Business Park that has recently undergone a new refurbishment, offering and a range of office suites with flexible terms. All spaces are fully furnished to a high specification, providing a creative environment to watch your business grow. Take advantage of the landscaped courtyards, perfect for an informal meeting with your clients and team alike, with unique 'meeting pods' giving you the option of a more formal setting. There is an onsite call handling service, excellent Broadband, heating and air conditioning and a communal shared kitchen, giving you great opportunities to network. Located just five miles from Cardiff City Centre, the site is easily accessible from the M4 and A48(M), with parking available when you arrive. There is also a bus route that runs alongside the Business Park, giving you access to the City Centre and beyond. The space has a very natural feel and is close to green, open spaces, ideal if you want a break from the office. This business space is accessible 24-hours a day with security, and is well placed for transport links, with bus services, access to the M4 motorway and rail services all within easy reach, ideal for commuters. Nearby amenities include restaurants, hotels and a petrol station. On-site, there is air conditioning, meeting room availability, a board room, an on-site management team, office cleaning and CCTV. Modern building set over 10 floors with office spaces available with benefits including, a new reception, passenger lifts, comfort cooling and an excellent car parking. Located on Cardiff Business Park providing ample amenities and excellent public transport links. Just a five-minute drive to Cardiff Bay and the city centre, these serviced contemporary offices are part of a modern development on a busy business park that is home to leading Welsh organisations including Football Association Wales and Age Cymru. Cardiff city centre has excellent places to eat and drink, as well as a range of different shopping options. Cardiff Central Railway Station offers services to a range of destinations. This stylish centre, with lots of natural light and a modern interior design, offers a great option for those looking for a new home for their business in Cardiff. With a dedicated business lounge, meeting rooms and board room, there are plenty of areas to work in and host business clients. The centre has spaces on offer for organisations of all sizes, and offers a simple inclusive rate. Transport links are excellent, with major bus routes in the immediate vicinity and Cardiff Central station and Queen Street station within a 20-minute walk. With excellent access to the M4 via J28 and J30, this centre is close to a golf club and shopping centre, on the outskirts of Cardiff. Offering a range of flexible office solutions to suit your needs, as well as a pleasant courtyard garden for those less formal business meetings. This two-storey office building was built in the 1960s and is just south of Cardiff Central Station in an area that is currently undergoing huge redevelopment. Heavily partitioned there are 65 separate spaces between 50 and 1,000 sq. ft. This site is made up of transformed shipping containers that provide excellent work spaces for creative industries and hands-on practitioners. Tenants benefit from 24-hour access, flexible terms and shared use of the facilities from the site next door. Together they make up one of Cardiff's largest creative shared work spaces. The site is only a six-minute walk from Cardiff Central train station and a ten-minute walk from the city centre. This listing offers open plan office space in a central Cardiff location. The office building has many great facilities, such as kitchen and toilet facilities on each floor, carpeted floors, air-conditioning and heating. Tenants can make the most of the secure car parking spaces at the rear of the building. The work centre is located a short walk from Cardiff Queen Street Station and many bus stops.